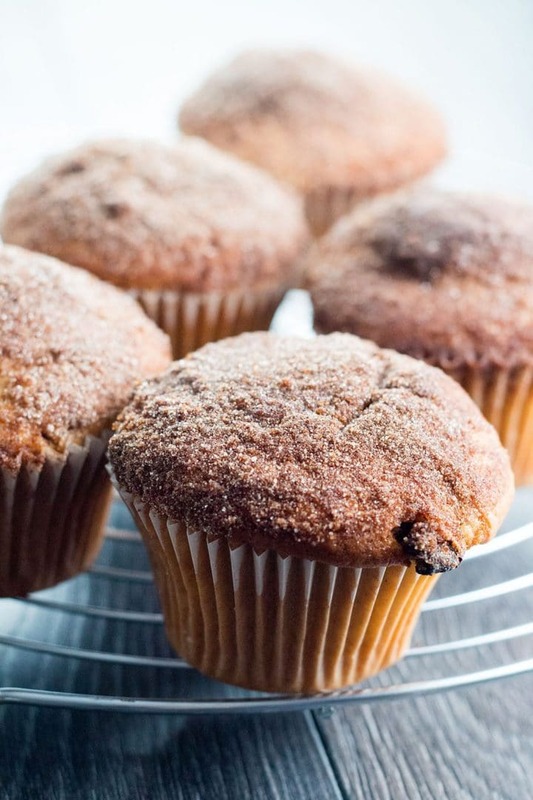 This outrageous recipe features cinnamon & sugar dipped muffins that are fantastic straight from the oven. 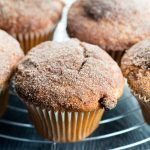 This outrageous recipe for Cinnamon Sugar Jumbo Muffins makes bakery style muffins topped with a buttery, Cinnamon Sugar, coating. 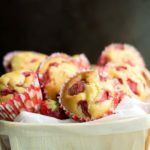 These softly textured muffins are fantastic warm, but also delicious for breakfast the next day. 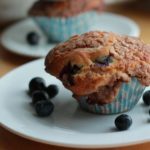 Fresh Muffins – Who doesn’t love them? I love that this version is a delicious cross between a muffin and a cake doughnut! They are light, fluffy, full of flavor and the tops are coated in a buttery, cinnamon & sugar. What could be better?? 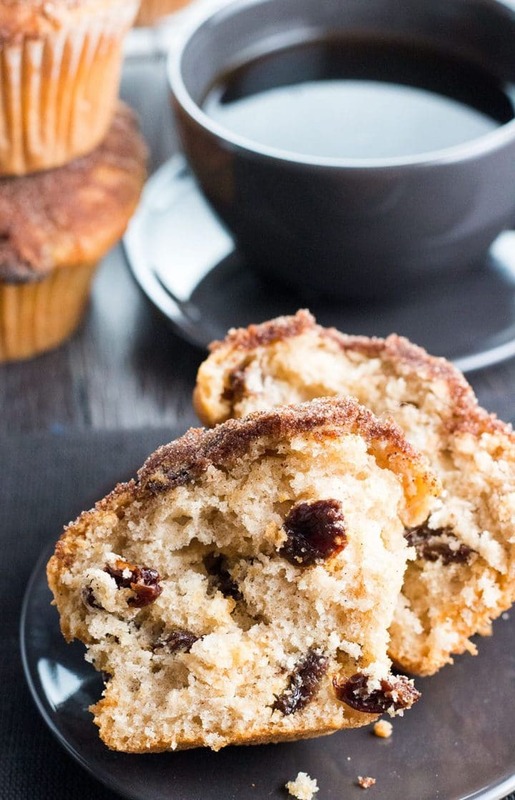 These Cinnamon Raisin Muffins are incredibly delicious! 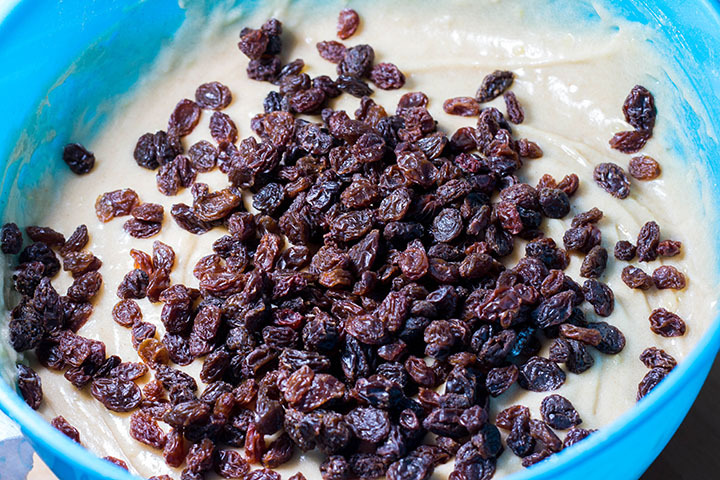 The light, moist and fluffy texture dotted with plum raisins go perfectly with the buttery cinnamon and nutmeg flavors. 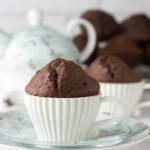 I think the best part of these muffins is that they are so easy to make. No need for a mixer. You just need a bowl and whisk or a wooden spoon. It all gets combined in the same bowl. 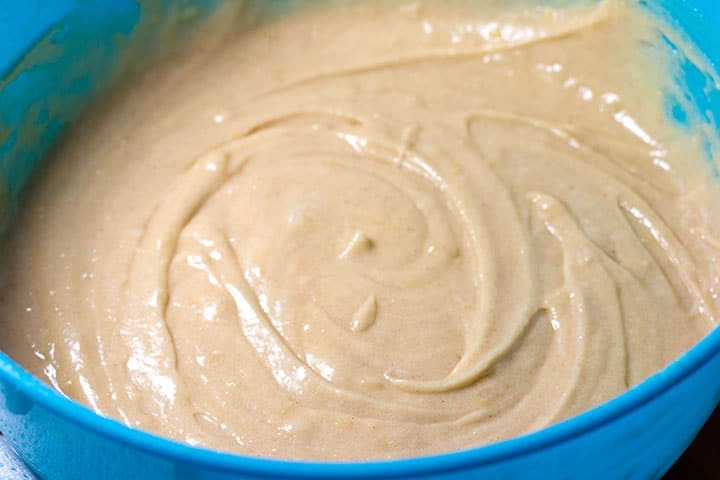 In a large bowl combine the flour, sugar, baking powder, baking soda, salt, cinnamon, and nutmeg. 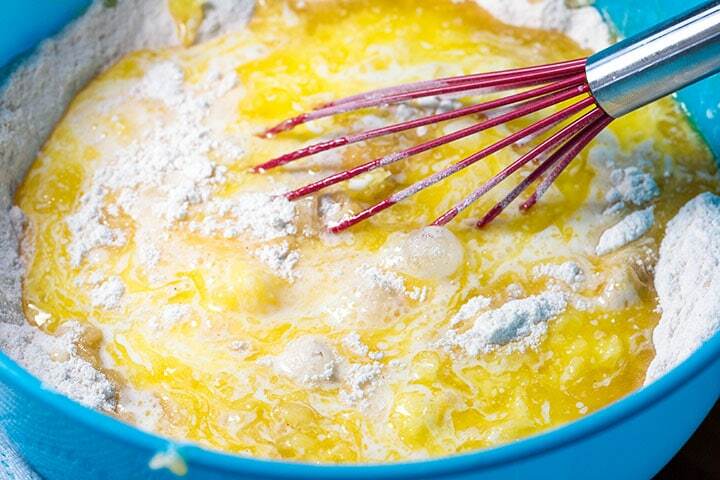 Add the melted butter, egg, buttermilk and vanilla. 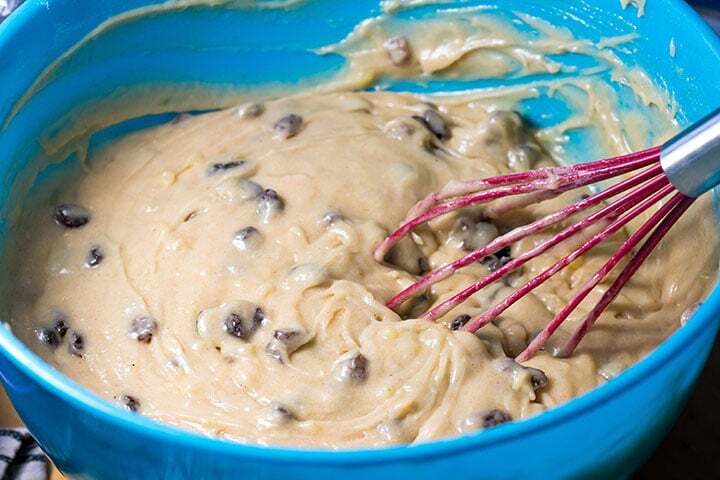 Gently fold them into the batter so not to over mix. 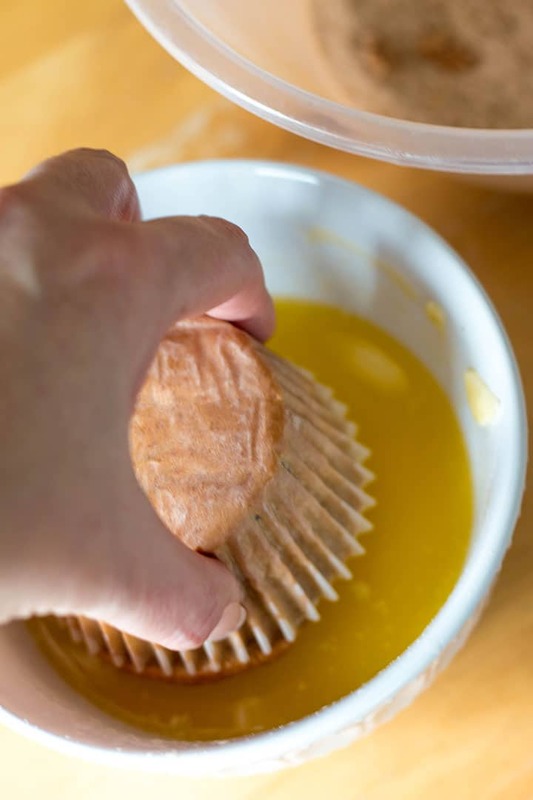 Add the batter evenly into the 12 muffin papers. Bake 25-30 minutes or until golden and a cake tester comes out clean. Remove from oven and let rest in pan for 5 minutes. 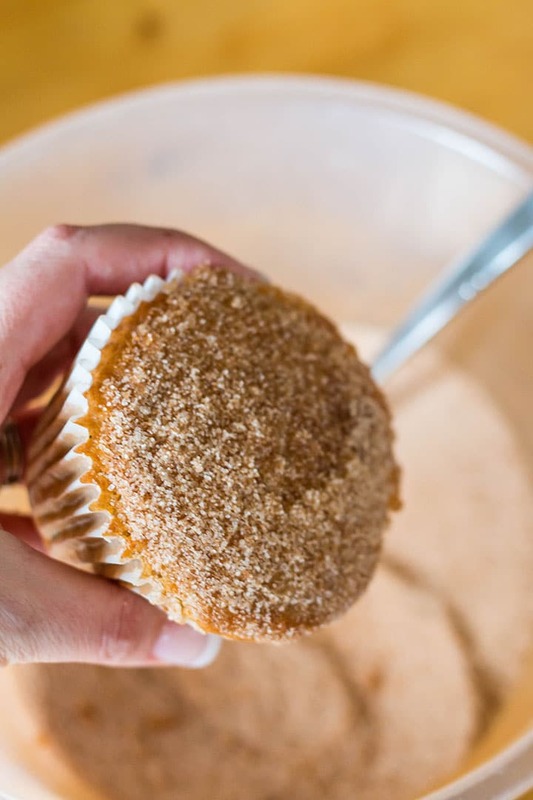 Meanwhile, combine sugar and cinnamon topping. Dip the muffin tops in the melted butter. Then coat in the cinnamon sugar. 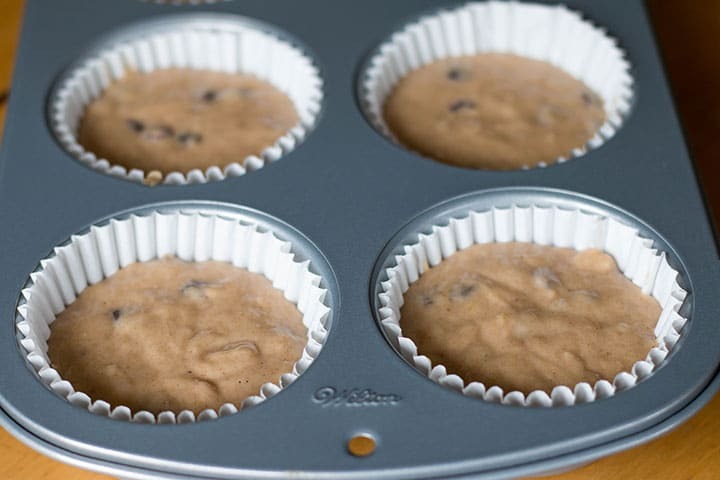 Place on a cooling rack and repeat with remaining muffins. 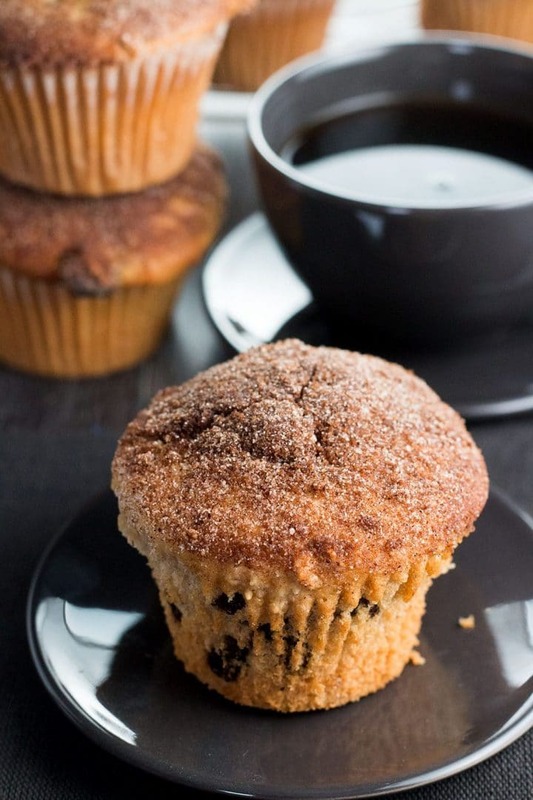 These muffins turned out just like those great big muffins you see in bakeries and coffee shops. I have to say that I loved them so much, I’ll be making Jumbo muffins from now on! I hope you enjoy these delightful muffins. They would be great for breakfast, brunch or any time you’ve got a taste for something really special. Although they are really good cooled I have to say that you can’t beat them fresh from the oven! 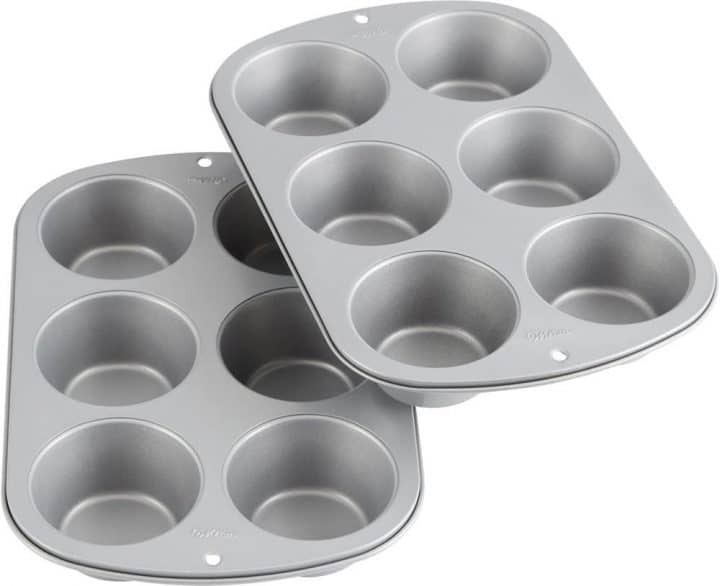 I made Jumbo muffins because I just got myself a set of Wilton Jumbo Muffin Pans (pictured below) and couldn’t wait to try them. If you want a set like mine, click here to get it on Amazon. Buttermilk is a great ingredient to bake with. I always have it on hand. You can use fresh or powdered. You can find powdered buttermilk in grocery stores or click here to get it on Amazon (it will keep for weeks and is the next best thing to fresh). 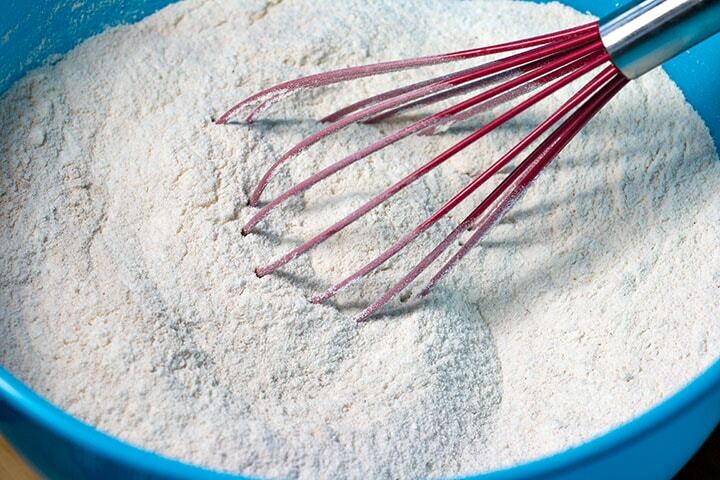 To use powdered, add the powder to your dry ingredients, and add the amount of water needed to the wet ingredients. Some fresh buttermilk brands are very thick so you may have to loosen the batter a little with milk after mixing in the wet ingredients. I’ve included this in the recipe, but it may not be necessary. Be careful not to over mix the batter. 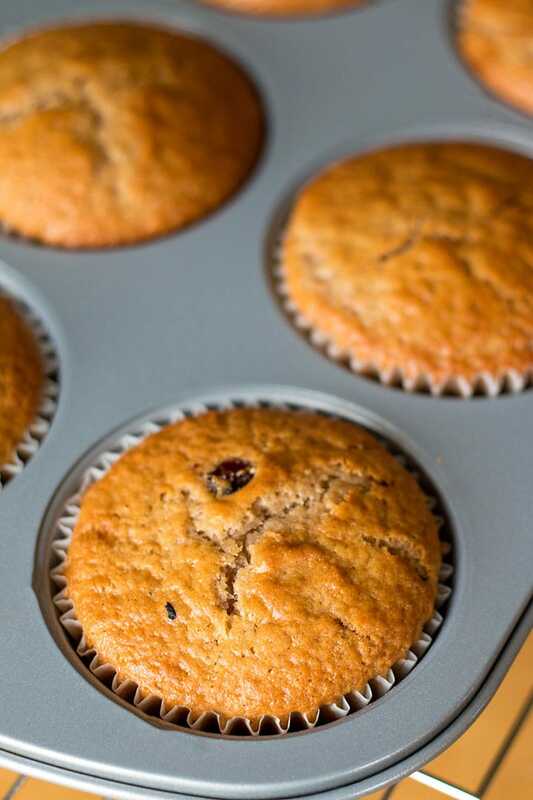 Don’t use an electric mixer, since beating the batter will produce tough muffins. Try using an ice cream scoop to fill the cups to keep them all uniform in size. 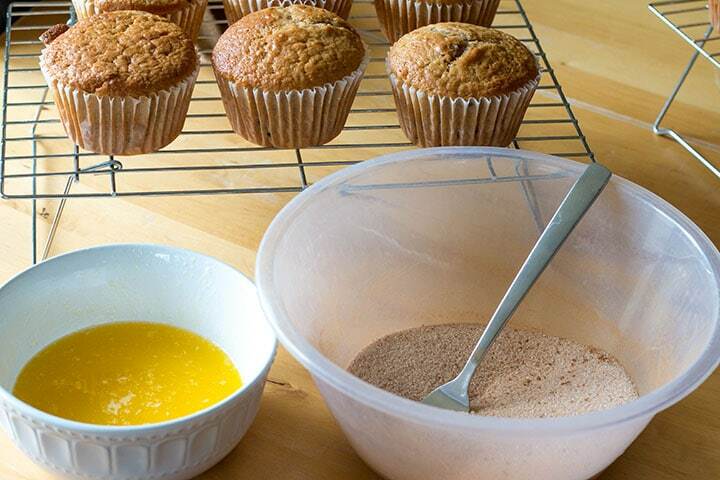 Prepare 1 or two Jumbo muffin pans with 12 muffin papers. Mix in the melted butter, egg, buttermilk and vanilla until combined. If the batter very thick and not easily mixed, add the milk (some buttermilk is quite thick which results in a that's batter too firm. The milk will loosen the batter). Remove from oven and let rest in pan for 5 minutes. Update Notes: This post was originally published in February of 2017, but was republished with an updated recipe, new photos, step by step instructions and baking tips in April of 2018. Hi Elaine, I do have a recipe called apple cheesecake muffins, give the ma try too they are delicious! Thank you for your feedback!